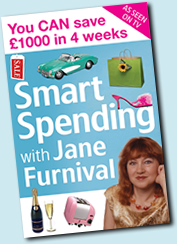 An updated and cutdown version of the classic Smart Spending is available for £6.99 in the shops, or available direct from Jane here for £5.50 (inc. p& p.
First and foremost, the cheapest way I know to save money is to buy a copy of my book, Smart Spending with Jane Furnival, from me personally. 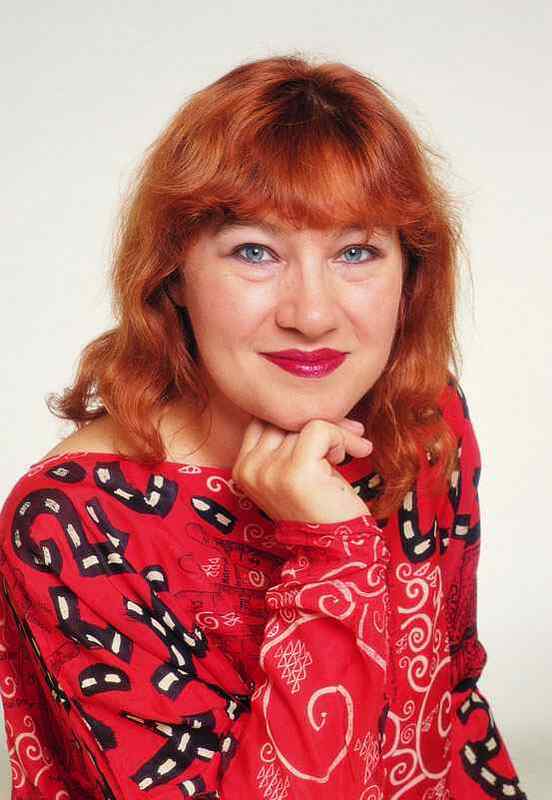 It costs £8.99 in the shops, or buy direct for £6.75 (inc. p& p). 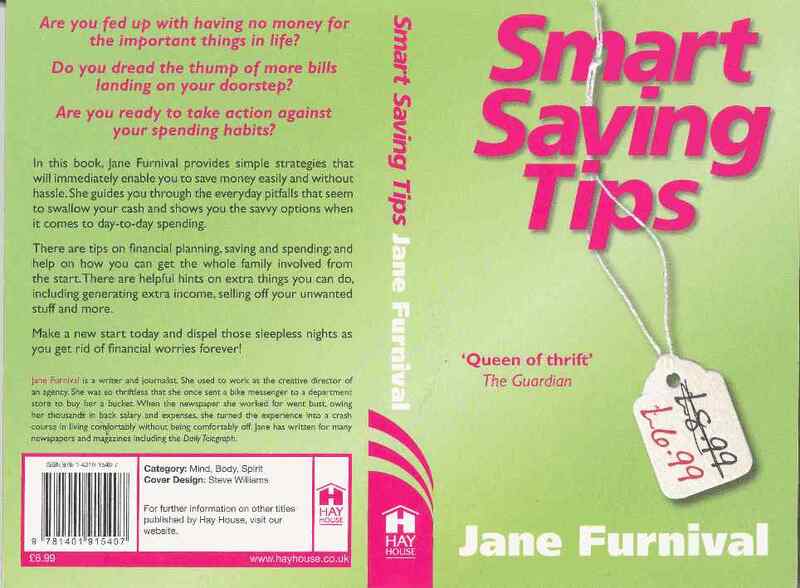 Jane's classic Mr. Thrifty's How to Save Money on Absolutely Everything is still available in a limited number of copies. Price in shops: £4.99. Available direct for £4.50 (inc. p& p). I have a few old copies of Mr. Thrifty, which I will happily sell for £3 (inc. p& p) to clear. 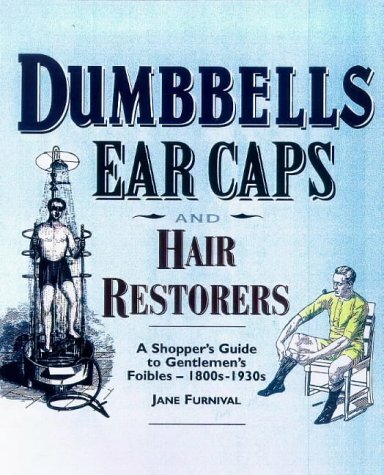 This light-hearted guide to gentlemen's wear is full of funny old illustrations and makes a great gift, especially for men and boys. £5 including p& p signed. Don't forgot to tell us which book you want.